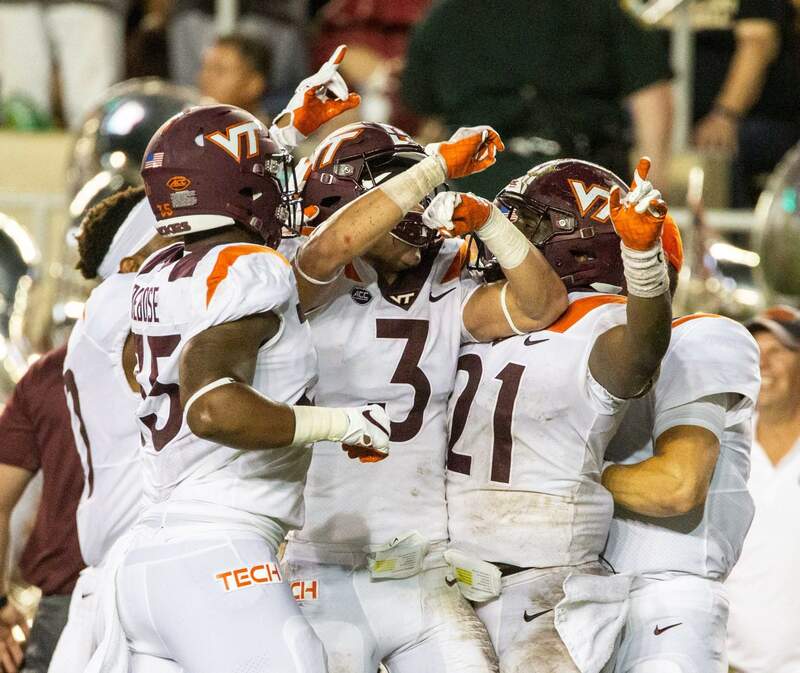 Virginia Tech defensive back Caleb Farley (3) celebrates an interception against Florida State in the first half Monday. 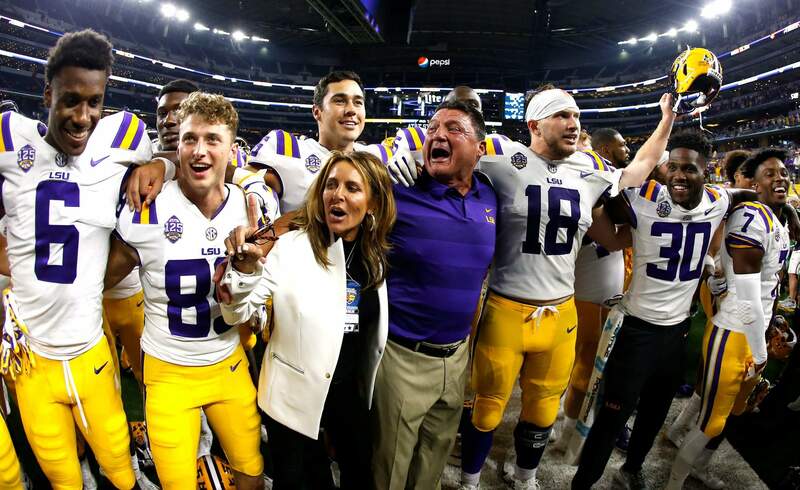 LSU coach Ed Orgeron celebrates with his team following a 33-17 win over Miami on Sunday. POLL POINTSAlabama tied Ohio State for most appearances at No. 1 in the history of the AP college football poll, which started in 1936. Barring an historic upset, Alabama should break the record Sunday after playing Arkansas State on Saturday in Tuscaloosa. Alabama – 105 weeks at No. 1Ohio State – 105Oklahoma – 101Notre Dame – 98Southern California – 91Florida State – 72Nebraska – 70CONFERENCE CALLWeek one was good for the Southeastern Conference, which went 13-1 including two victories against ACC opponents, one versus the Pac-12 and one against the Big 12. The SEC has seven teams ranked this week, the most for the conference since Oct. 16, 2016, when eight were ranked. SEC – 7Big Ten – 5Pac-12 – 4ACC – 3Big 12 – 3American – 1Mountain West – 1Independent – 1RANKED VS. RANKEDNo. 3 Georgia at No. 24 South Carolina this week. Big opportunity for the Gamecocks, who are ranked for the first time since Sept. 21, 2014.